This 18 February 2019 video is called Cabo Verde Tarrafal Political Prison Camp. 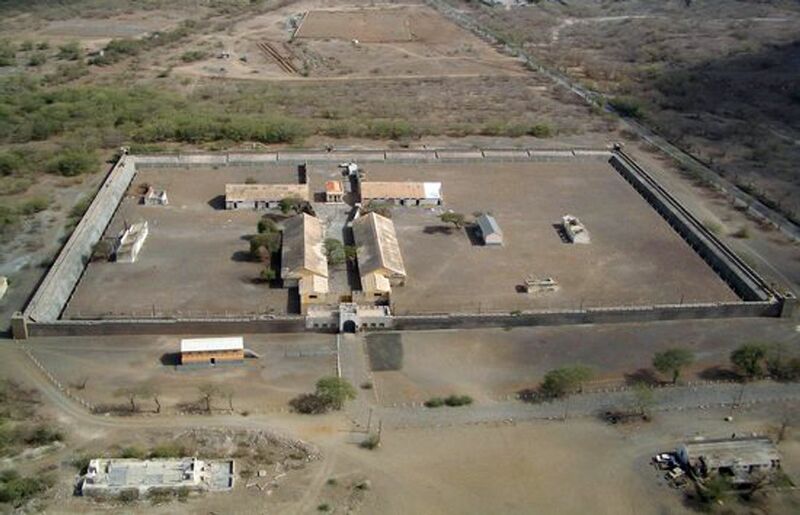 Tarrafal (also known as Campo da Morte Lenta in Portuguese [“Camp of the Slow Death”]) was a prison camp in the Portuguese colony of Cape Verde. According to Wikipedia, the PVDE, Portuguese secret police, modeled its camp regime on the Nazi concentration camps. 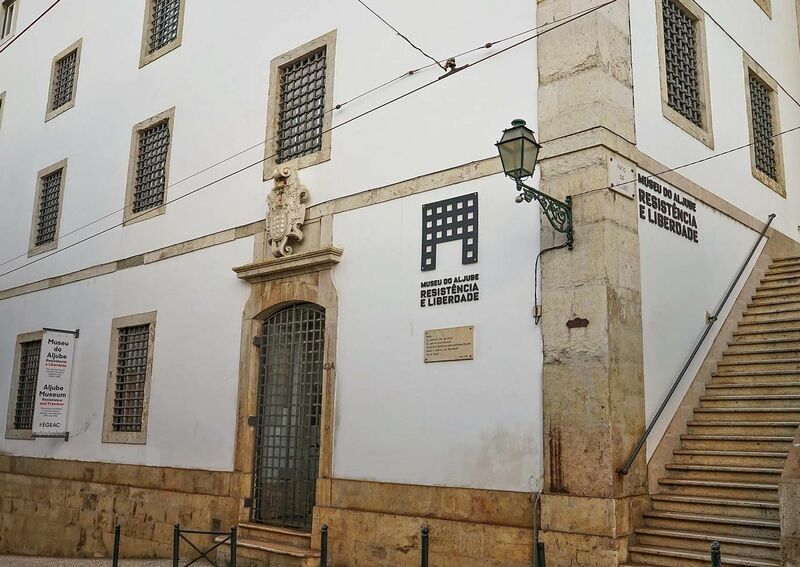 Visitors to the Aljube Museum—Resistance and Freedom (Museu do Aljube Resistência e Liberdade) in Lisbon will be shocked by what they learn about a period of Portuguese history whose brutalities have largely been suppressed. Located across from the city’s Sé Cathedral, the old building served as a prison for centuries. It was where the feared PIDE (Polícia Internacional de Defesa do Estado) secret police incarcerated and tortured thousands of political opponents of the fascist regime that ruled Portugal from 1926 to 1974 until its overthrow in the Carnation Revolution. 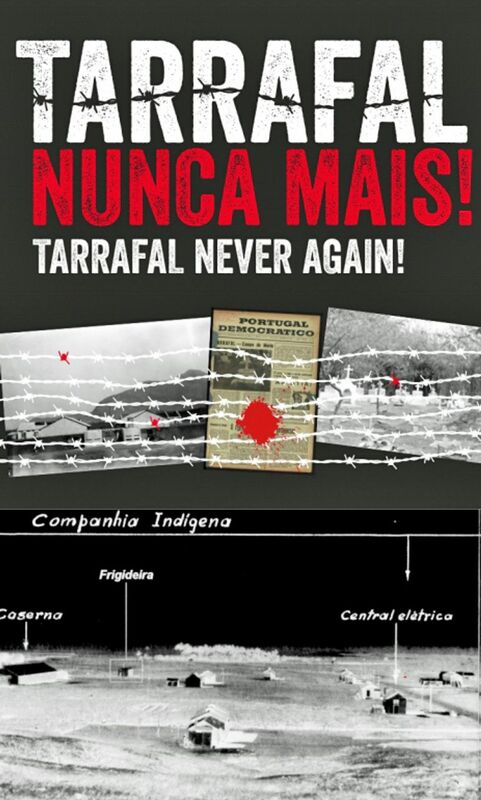 A current exhibition “Tarrafal Never Again!” tells the story of the little-known concentration camp in the former Portuguese colony of Cape Verde, an island group in the central Atlantic Ocean. The exhibition includes stark photographs of the arid, isolated prison, coldly meticulous government dossiers detailing the lives and deaths of individual prisoners under the most wretched conditions, and moving testimony from survivors. 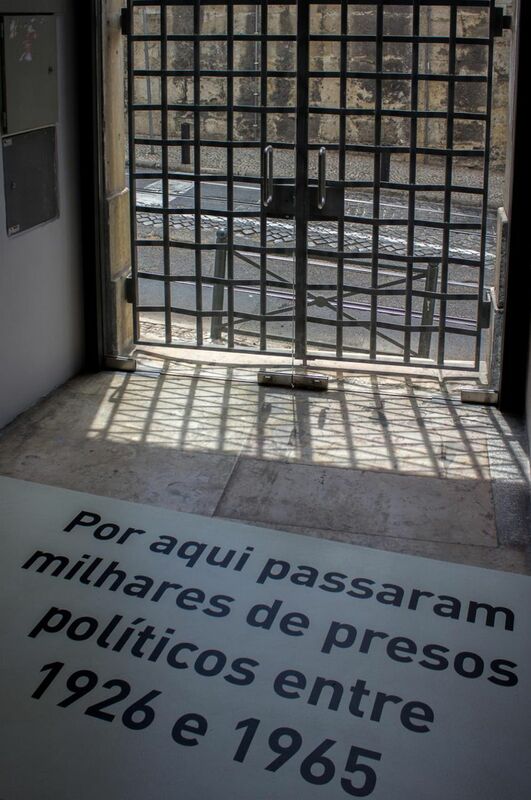 … In 2013, then PS mayor of Lisbon and current Prime Minister António Costa gave the go-ahead for the Aljube prison to be converted into a museum (instead of luxury apartments), overseen by the Mário Soares Foundation. Soares, a leading figure in the liberal opposition to the dictatorship, founder of what was to become the PS, twice prime minister and then president of the Republic, opened it in 2015. The PCP abandoned its own plans for a museum. The museum’s mission is to promote “the history and memory of the fight against the dictatorship and the recognition of resistance in favour of freedom and democracy.” The possibility of the revolutionary overthrow of capitalism and the establishment of a socialist society is expunged from the narrative. 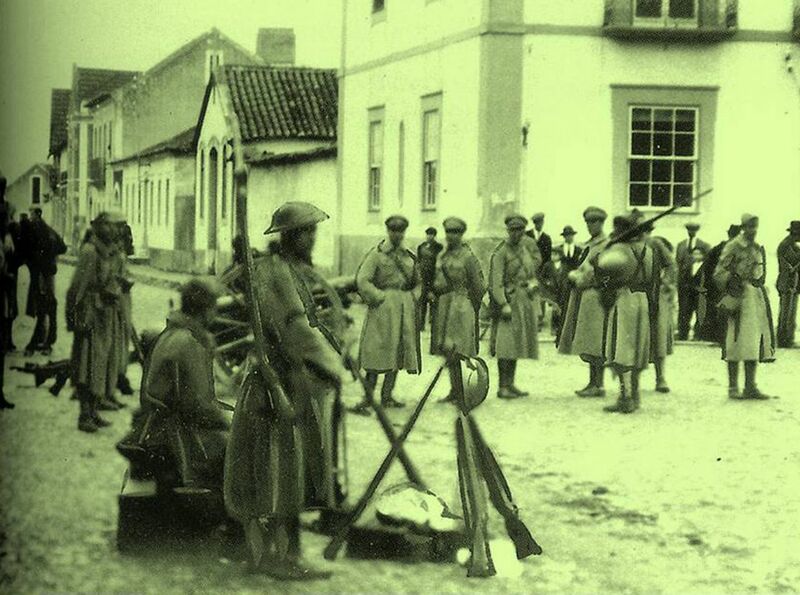 It was the instability and weakness of Portugal’s First Republic, which saw eight presidents and 45 governments between 1910 and 1926, and the movement of the working class, inspired by the 1917 Bolshevik Revolution in Russia, that led to the right-wing coup of May 28, 1926. In 1928, António de Oliveira Salazar, an economics lecturer, was appointed Portugal’s finance minister and then prime minister (1932-1968). In direct response to continuing working class struggles that peaked in a five-day insurrection in 1934, Salazar declared his clerical-fascist New State (Estado Novo) with its values of God, Fatherland, Authority, Family and Work. It was anti-communist and venerated a rural lifestyle uncorrupted by industrialisation. The most important function of Salazar’s regime for Portugal’s ruling elite was its strangling of any struggle by the working class at home and opposition developing in the colonies. Independent trade unions and strikes were outlawed, and workers were forced into state company unions or “sindicatos”. The PCP leadership was imprisoned or driven into exile. The exhibition includes the original 1936 letter authorising the construction of Tarrafal. That year, some 150 political prisoners arrived from the mainland, including those who had taken part in the 1934 insurrection, as well as sailors who had mutinied on two naval vessels in 1936.
barbed wire. For the first two years, the men were kept in canvas tents while work brigades built more-permanent structures. Guards took all their clothing and other personal effects. Until its temporary closure in 1954 after national and international pressure, 360 men passed through the camp. At least 32 inmates did die between 1937 and 1948. Most were working class men in their twenties and thirties, and many were PCP members. 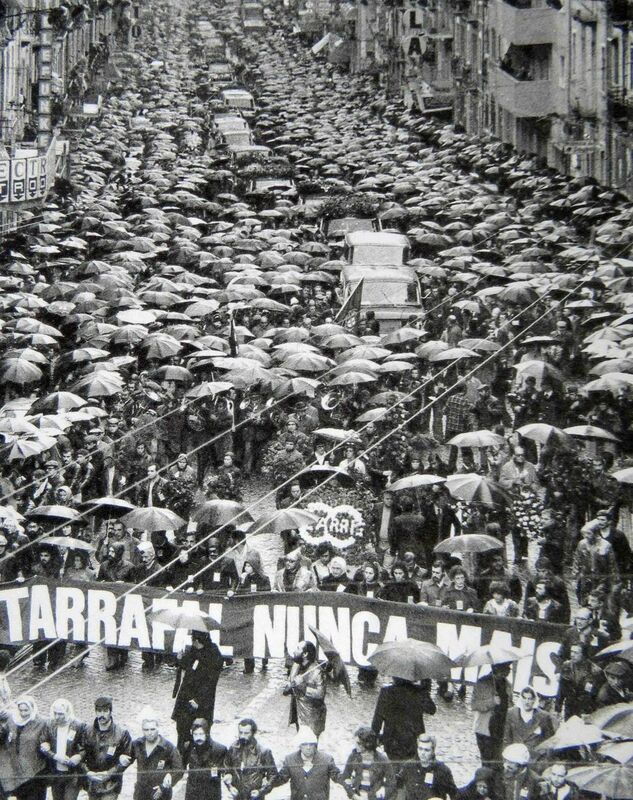 Public pressure, including a huge demonstration in 1974, saw their remains eventually brought back to Portugal. Gilberto de Oliveira recalls the punishment by isolation in the “frigideira”, or “frying pan”—depending on the season. 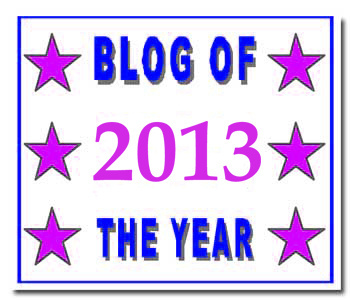 “The feeding on alternating days meant bread and hot water on one day and bread and cold water on the other. … The punishment in the frying pan, therefore, consisted in isolation, starvation, slow asphyxiation, dehydration, sweltering heat during the day and abrupt cooling at night and, often, beatings.” Temperatures inside the concrete punishment cell reached 60 degrees Celsius [140 degrees Fahrenheit] and victims could spend days at a time there. One prisoner, Joaquim Faustino Campos, spent 108 days there. … [In the 1970s], compulsory military service in the colonial wars combined with low pay intensified grievances in the army and stimulated opposition, which developed into the Armed Forces Movement (MFA). … The vast levels of social inequality and the ruling elite’s return to military rearmament and war can only be imposed through the suppression of “freedom and democracy” and by resorting to authoritarian forms of rule and fascism. The slogan “Never Again” runs the risk of ringing hollow, given the return of the fascist cancer throughout Europe—including Vox in neighbouring Spain. The Aljube Museum exhibition is evidence of the price the working class paid in the 20th century for the failure to overthrow capitalism. This 16 November 2018 video is called Pallid Swift (and a few gulls) – Portugal – Slow motion – Apus pallidus. Summary: Nearly 100 species of swift are completely adapted to life in the air. That is the conclusion of researchers after having studied a third species and observing that some individuals did not land for over three months. “They eat and sleep while they are airborne. This is something that researchers have believed since the 1950s, and now we can show that it’s true,” says Anders Hedenström, professor at the Department of Biology at Lund University. Three years ago, the same research team at Lund University observed that within the species common swift, (Apus apus) there were individuals that live in the air for up to ten consecutive months without landing — a world record for being airborne. A different research team has also shown that the alpine swift could live largely in the air. In the current study, Anders Hedenström and his colleagues Susanne Åkesson, Gabriel Norevik, Arne Andersson and Johan Bäckman at Lund University, and Giovanni Boano from Italy, studied four individuals of the species pallid swift (Apus pallidus). The results show that the birds are in the air without landing for between two and three and a half months, depending on the individual. Using micro-data loggers attached to the birds, the researchers measured movement when the wings flap. The loggers record activity every five minutes, and the bird’s location once a month. Using this method, the researchers have been able to ascertain that the birds live for months at a time in the air during the winter months, the period of the year they spend in West Africa after the breeding season in Italy. “They land when they breed under a roof tile or in a hole, otherwise they live in the air. They eat insects while they fly, and when they have reached a high altitude and start gliding, they actually sleep for short periods,” says Anders Hedenström. The breeding season dictates why pallid swifts cannot fly for as many months in a row as the common swift, i.e. ten months. Pallid swifts lay two clutches in one season, the common swift only one. Swifts have a high survival rate compared to many other birds. The researchers believe this is due to swifts spending such a large part of their lives in the air, where predators cannot surprise them in the same way as on the ground or in a nest. Also, when airborne they are not affected by parasites in the same way as on the ground. This November 2017 video, in Portuguese, is about the old cathdral of Coimbra city. Summary: A peculiar fungus was retrieved from an artwork in the Old Cathedral of Coimbra, Portugal during a multi-disciplinary scientific survey. The organism was found to belong to the group of microcolonial black fungi, which are infamous amongst conservationists and biologists who care for historic monuments. They cause significant biodeterioration to stone monuments due to their successful adaptation to hostile environmental conditions. To be listed as UNESCO World Heritage requires special care and protection of valuable cultural monuments and pieces of art from threats such as biodeterioration caused by microcolonial black fungi. The culprits lodge their branch-like structures (hyphae) deep into the stone forming fissures and cracks and also produce polysaccharides that trigger corrosion. To define the new group of fungi, the researchers first scraped off samples from a deteriorated limestone artwork in the “Santa Maria” chapel and then conducted an extensive and integrative analysis, based on morphological, physiological, ecological characters and DNA sequences. As for the origin of the previously unknown fungus, the scientists hypothesise that the species had ‘arrived’ at the Old Cathedral of Coimbra with the limestone used during its construction. Coming from the unique nearby areas of Ançã and Portunhos, such limestone has been used on several of the “Our Ladies of the O” statues, as well as in the portal of the Royal Hospital in Santiago de Compostela (Spain). Currently, these fungi are considered endemic to the limestone quarries in the Iberian Peninsula. “Regarding stone monuments exposed to the environment, microcolonial black fungi are considered one of the main culprits for the phenomenon of stone biodeterioration, being responsible for severe aesthetic, biochemical and biophysical alterations,” comment the scientists. A diving beetle demonstrating various adaptations to the life underground, including depigmentation and evolutionary loss of eyes, was discovered at the bottom of a clay pound in the cave Soprador do Carvalho, Portugal. The species turned out to be the very first in the whole order of beetles (Coleoptera) to be known exclusively from the underground waters of the country. Despite not being able to find any other specimens during their study — save for the single female, the team of Dr Ignacio Ribera, Institute of Evolutionary Biology (Spain) and Prof Ana Sofia P. S. Reboleira, University of Copenhagen (Denmark) identified the beetle as new to science, thanks to its unambiguous morphology in combination with molecular data. Aptly named Iberoporus pluto in reference to the ruler of the underworld in Greek mythology Pluto, the species was recently described in the open-access journal ZooKeys. With a uniformly pale orange body measuring 2.8 mm in length and 1.1 mm in its widest part, the beetle is larger than the rest species known in its genus, and its appendages are longer and more slender. While blindness and depigmentation are clear adaptation to life away from sunlight, the elongated limbs and antennae reflect poor swimming abilities needed in a subterranean habitat. Going for 4 km in horizontal direction, Soprador do Carvalho is the largest in the Dueça cave system, located in the north-eastern part of the Sicó karst area in central Portugal. In recent years, the cave is being explored for tourism. This 24 September 2018 video is called Breaking News – 400-year-old shipwreck found off Portugal. We are lucky to have these stunning birds building new nests on our land near the house in Sao Marcos da Serra in the Algarve. As you can see, they are not exactly in a rush. It takes around 20 days to complete a nest which is about 1m in length with a chamber at the end for the female to lay 5 to 8 eggs. European Bee-Eaters are known as Belharuco in Portugal. Captured using the Bushnell NatureView Cam HD Max (Live View). The Balearic shearwater (Puffinus mauretanicus) is one of the most threatened seabirds in Europe, since it has a relatively small population, which faces serious threats on land (in Balearic Islands, where it breeds) and at sea (where it spends long periods of time, namely along the Portuguese coast). The Life MarPro project wishes to draw attention to the dramatic situation that this species faces, directly related with fishing and bycatch. A situation that can be prevented if environmental organizations and fishermen work together to find solutions for everyone, and above all for wildlife. Deploying high contrast panels in the fishing nets is one of the measures that is being tested by SPEA, and which has had promising results. Neither seabirds get entangled, where they frequently end up dead, neither fishermen get their gear damaged. One of the main Life MarPro objectives is to reduce the conflicts between the fishing sector and seabirds/sea mammals.